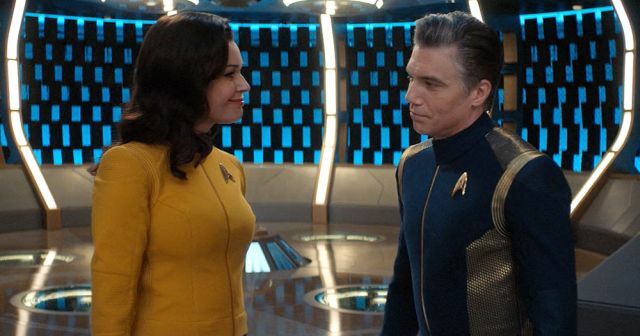 One of the biggest cast additions for the current second season of Discovery was Anson Mount, who came on board as Captain Christopher Pike of the USS Enterprise. He was joined by Rebecca Romijn, who was tapped to play another classic Star Trek character, Number One, a member of Pike’s crew. Both are set to leave at the end of the season, we have learned.